Skin is the armor that gets us through our day, going through a lot of wear and tear that our busy lives expose us to. That is why Heyday has launched the most personalized facial, fueled by technology, for the on-the-go person, but what makes Heyday distinct is its understanding that no two facials are the same. Their retail locations are stacked with a team of expert skincare technologists, who completely understand the nuances of skin and that every skin-type needs to be catered to. Heyday offers 30, 50, and 75-minute personalized facial services at an affordable price point that makes facials accessible to the masses for the first time. 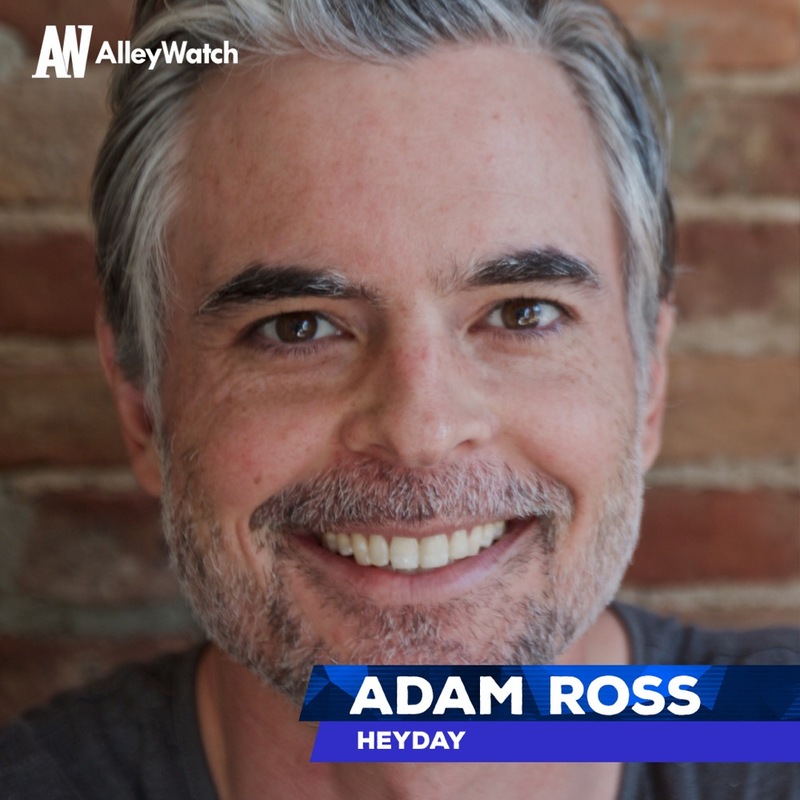 AlleyWatch sat down with Adam Ross to discuss how Heyday is redefining the facial, Heyday’s recent expansion to LA, and its recent funding, which brings the total funding amount to $11M across two rounds. 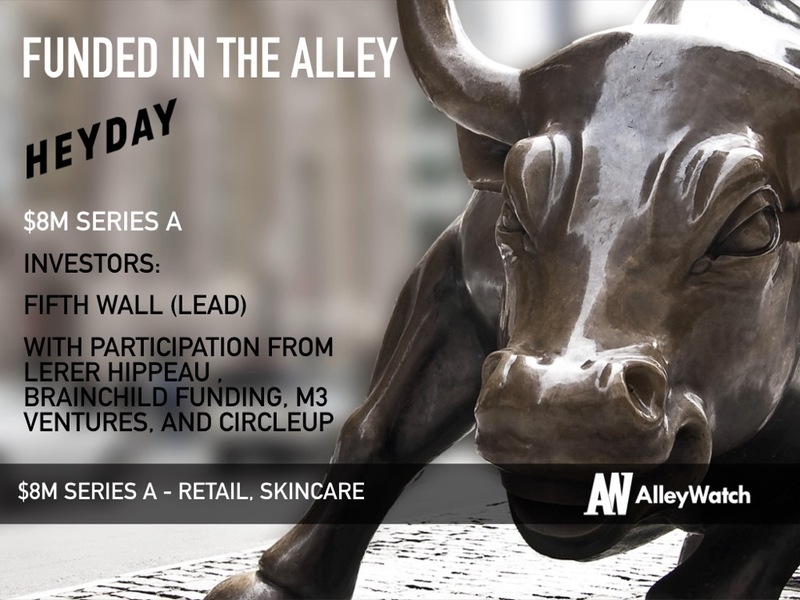 Spearheaded by Fifth Wall (ClassPass, Lime, Cotopaxi), Series A funding for Heyday includes participation from existing investors such as Lerer Hippeau (Casper, Glossier, Allbirds) and Brainchild Funding (Onomie, The Arrivals) in addition to welcoming new investors to the fold with the addition of M3 Ventures (Van Leeuwen, Carbon38, Rumble Boxing) and CircleUp (Hum, Supergoop!, Kosas). Tell us about the product or service that Heyday offers. We’re a facial shop, and we are looking to take the facial out of the spa, and into people’s lives. We want to make expert, everyday skincare – services and advice – accessible. We provide personalized facial services in three different treatment times (30, 50 and 75-minute treatments for $65, $95 and $140, respectively), and also retail a curated collection of skincare products in our shops and via our website. What inspired you to start Heyday? In my prior life in investment banking, I was doing a lot of work for beauty companies who focused on pushing products rather than helping consumers make informed choices for their skin. And personally, looking after my skin was increasingly confusing, expensive, and time-consuming. In speaking with my friends, everyone was equally frustrated, so I became convinced there had to be a better way. Heyday was something that should exist. Access to professional skin care service and receiving the education on how to care for your skin should be available to everyone, especially given the cumulative and undeniable benefits of great skincare. Consumers want, and need, a much better option than what currently exists on the market. Heyday is setting out to change that. There are a number of differences in our business relative to others. At the highest level, I would classify into three broad categories: (1) in-shop experience, treatment, and product curation, (2) our team of skin therapists, and (3) our technology to create personalization and engagement both in the treatment room and outside of it. First, our in-shop experience is a modern, un-intimidating experience that feels more residential compared to other concepts – there are a number of other in-store touch points such as our chairs, music, phone chargers, etc. that certainly create a special, and unique environment. As for our treatments, our menu only offers three time-based options which let us personalize the right treatment based on what our team observes in a client’s skin that day. From there, our Skin Therapists select the right products for you to use at home. Heyday’s highly-curated group of brands are those we feel are the best on the market that allows us to address all skin types, concerns, and a range of price points. Often, places you might get a facial don’t offer this type of retail model as they generally sell their own lines (or a very limited number of lines) which we feel strongly doesn’t benefit the client. Our treatment and product approach let us truly personalize a skin care routine client by client. We have a one-size fits one approach. Second, we have the largest team of licensed skin therapists, who at Heyday focus solely on the skin. There is a great humanity to skincare. We’re dealing with how people perceive and present themselves. Our combination of human touch – from the literal touch we provide in a service to the personalized advice we offer along the way – is what truly sets us apart from any spa, dermatologist, retailer, or product. Third, our data and technology. We use our skincare database and consultation notes to help personalize our treatments at Heyday and to follow up via email with a personalized home care routine. We also send weekly select content, tips, and tricks to help cut through the noise in the category to make skincare easier to understand. These touchpoints are critical to us – what you do outside of the treatment room is so important in between your monthly treatments to bring out the best in your skin. What market does Heyday target and how big is it? There’s a growing ~$6B fragmented facial services category that sits between the Spa channel and Salon channel. Interestingly, ~30% of our clients have never had a facial before. Additionally, there’s also ~60% of clients who, prior to Heyday, have had a facial only 1x/year, who now come to Heyday either monthly, or multiple times throughout the year. Heyday is changing behavior in two key ways – and in doing so, growing what is already a very large category. Parallels can be drawn from other great brands such as DryBar, SoulCycle, and Warby Parker that have addressed structurally-challenged industries to free friction points and a service (also concurrently offering a fundamentally superior value proposition). We’re doing that with facials. Beyond services, there’s an ~$16B online skincare category in the US that is growing quickly, yet it is very undifferentiated. While less of a key focus today, as we become more of an omnichannel brand, this will also be a significant market opportunity for us. How has the business changed since we last spoke after your Heyday’s Seed funding last year? We’ve accomplished 3 key milestones. First, we opened two additional doors in Manhattan that tool the number of locations to 5, which gave Heyday broad geographic coverage of Manhattan to entrench our presence as a leading facial brand. Second, we became a national brand late summer 2018 with the opening of our first LA location. Third, we have made some investments in our databases and relaunched a new website that better represents who we are, and importantly provides more functionality and better engagement for our clients. We’re looking to be a completely personalized skincare solution for clients. This is a combination of both professional treatments performed in our shops coupled with customized skincare routines at home. Our business model is both service and product – for both men and women. 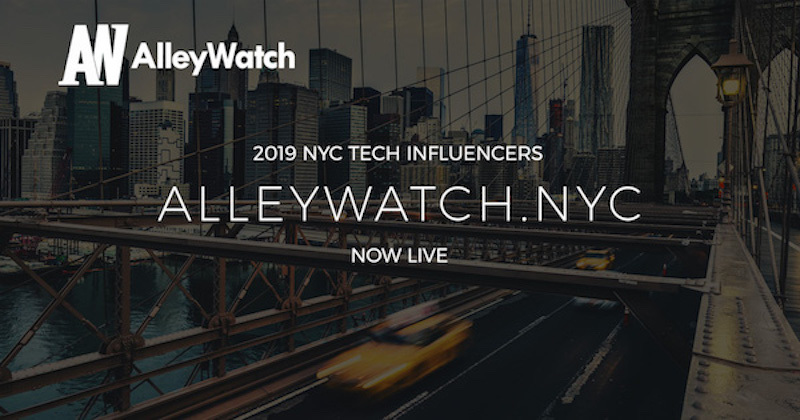 In this video, Brendan Wallace, Cofounder and Managing Partner at Fifth Wall, discusses some key factors that led to the firm’s Series A investment in Heyday. While it is very early days for Heyday, we had accomplished a number of key milestones that provide a strong foundation that we can continue to build on. First, we have redefined the spa experience for a younger demographic. Second, we have achieved product/market fit through an engaged, repeat client base. Third, we have built a fantastic team of skin therapists, and we have used data, content, and technology to provide a superior user experience. All of these factors give us a number of capability differentiators that should result in compelling financial performance and outsized investor returns. Overall, it can be time-consuming and does unavoidably create some unpredictability in your schedule. Previous to Heyday, I worked in mergers and acquisitions, so having had this experience was very valuable and served me well. Raising capital is always a great opportunity to meet different investors and speak strategically about the business and the overarching themes they are seeing in your category. These observations provide very thought-provoking insights for us that help us build year over year. 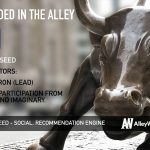 The biggest challenge was less around the fundraise and dynamics with investors, and more with the time away from the business and doing your day job. Raising capital can be close to a full-time job and is very unpredictable day-to-day (where’s the fun in predictable and boring?). Truthfully, navigating this as a CEO was at times very difficult. We will look to open a second location (and possibly a third) in LA, coupled with making a number of team hires in our Support office. For Heyday, having brick-and-mortar locations gives you a first-hand opportunity to speak to, and learn from, your customer. This was invaluable for us, allowing us to focus our resources on what the customer values, not what we think the customer values. My advice is to connect with your customers so that everything you do is through their lens. I’ve seen companies waste a lot of time and money by ignoring this fundamental approach. Focus on retention and engagement, so when you have a stronger understanding of their wants and needs, you can then scale faster when you have the capital to do so (and with stronger growth/retention metrics). With our physical shops, we will look to replicate in LA what we have done in NY – this milestone will result in having a market leading brand on both coasts. In addition, we will be continuing to hire and grow our team with the best talent to unlock further opportunities for us. In NYC, it would be Craft, and in LA, Pace in Laurel Canyon (the chocolate soufflé at Pace is to die for! ).